Everyone’s made mistakes on exams, usually little errors that you’ll kick yourself for afterwards. But the mistakes these students made aren't just bad—they’re fails of epic proportions. 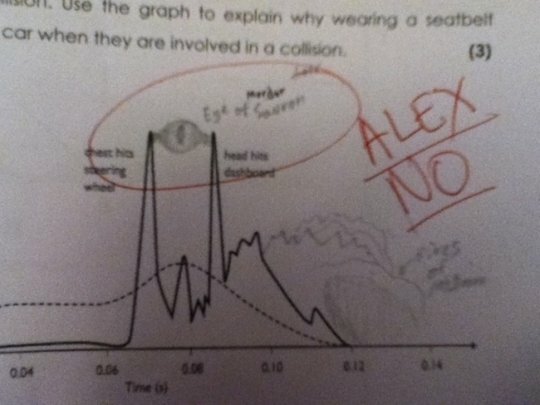 Here are some of the ten worst exam answers you've ever seen. The irony is strong in this one. 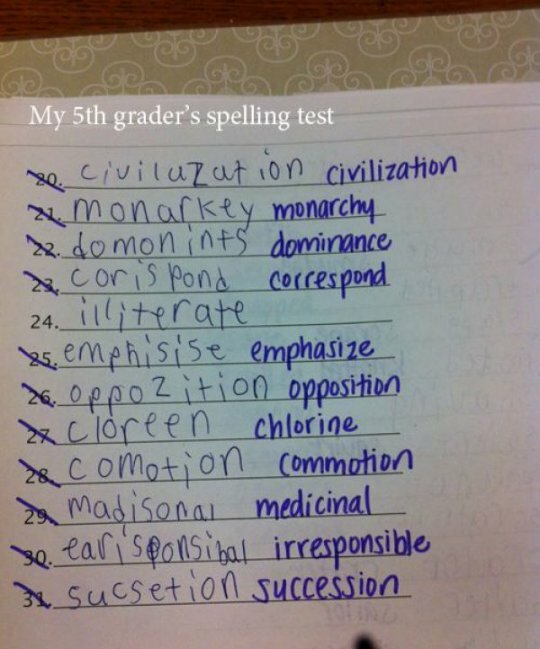 This student definitely isn’t going to make it to the spelling bee finals. 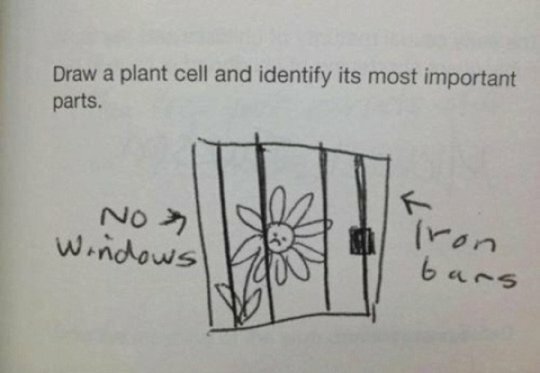 This seems like one of those questions that should have no wrong answers, but the teacher probably took a few points off out of sheer annoyance. This super Lord of the Rings fan saw his opportunity and took it, bravely sacrificing those points for the sake of this joke. This student clearly overthought the question. 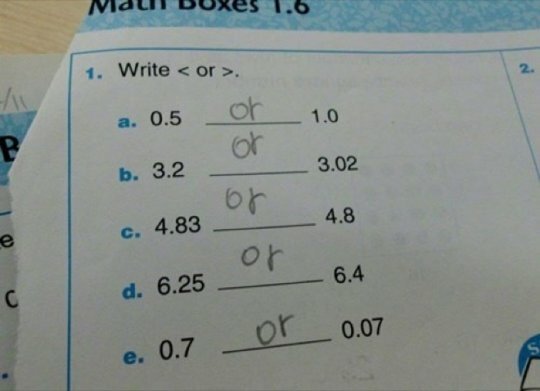 We’re sure the teacher took the ‘or’ option out after seeing this test. 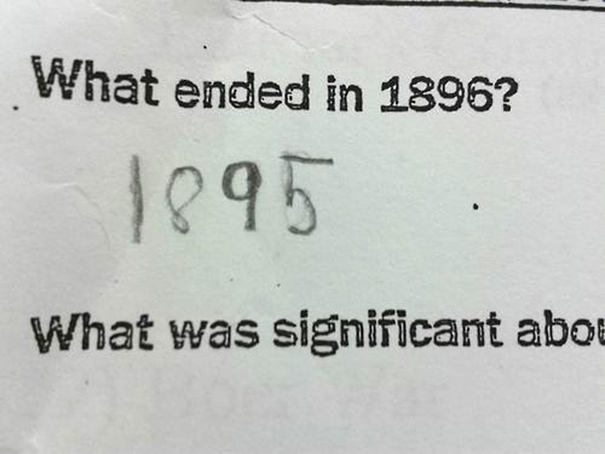 We’re definitely curious if the teacher accepted this answer that’s technically right, but clearly not what he or she was looking for. 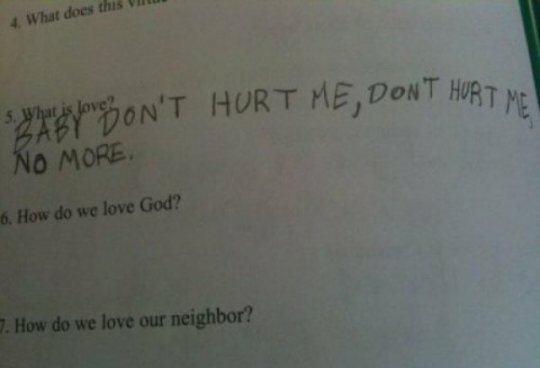 We imagine the kid who wrote this answer spends most of his time slamming kids into lockers and giving out swirlies. Tony better watch his back. Yes, it is true that you only live once, but you’re one life isn’t going to be too great if you fail out of school. 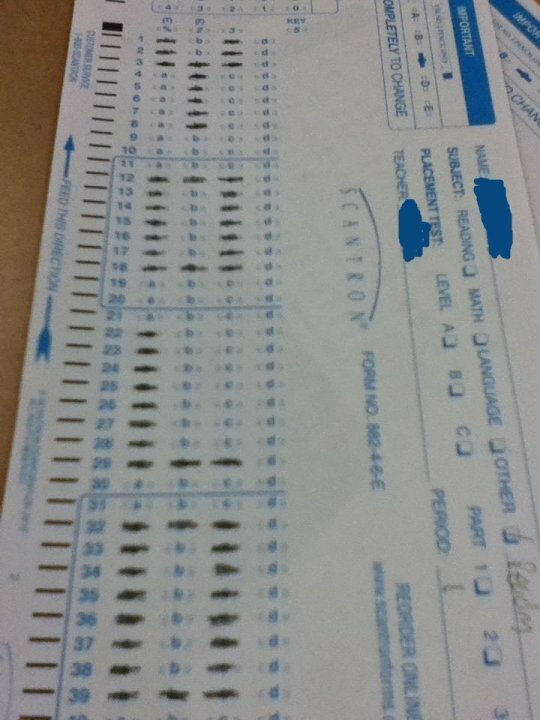 Hopefully this student realized that and didn’t keep using their Scantrons to write out lyrics from Drake songs. This probably wasn’t the answer the teacher was looking for. 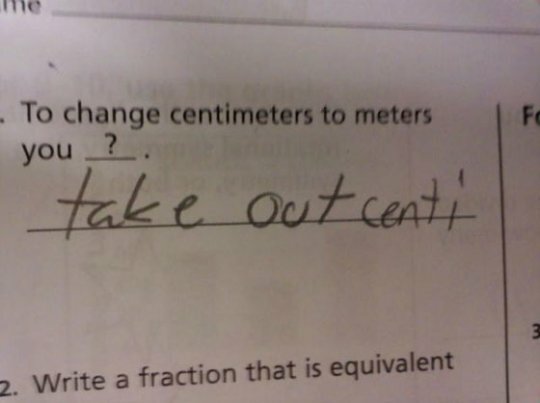 This student may need to work a little longer on their measurement conversions. #9 - Free the plant! Here’s another instance of a student taking artistic liberties with a question. 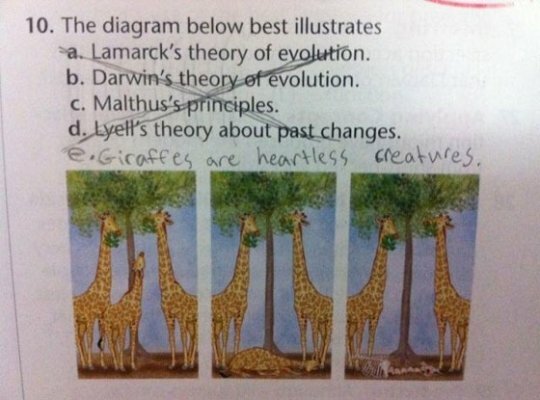 We’re guessing the student wasn’t given extra points for this creative answer. 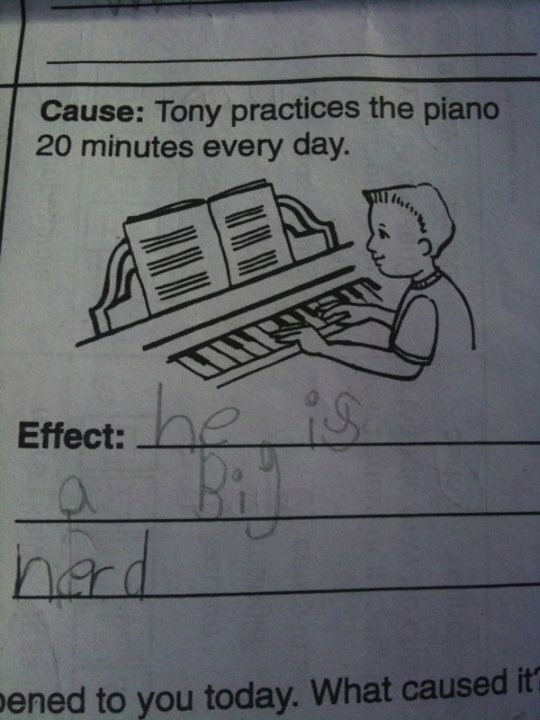 We’ve got to agree with the student on this one. These giraffes are vicious animals.